Plan to Celebrate Valentine’s Day with Healthy Steaks and Chocolate! PARTNERSHIPS & PAIRINGS: Jacquie collaborates with other small local businesses whenever possible. For example, she’s teaming up with Fossil Brewing Co. to offer a special chocolate beer on February 13. 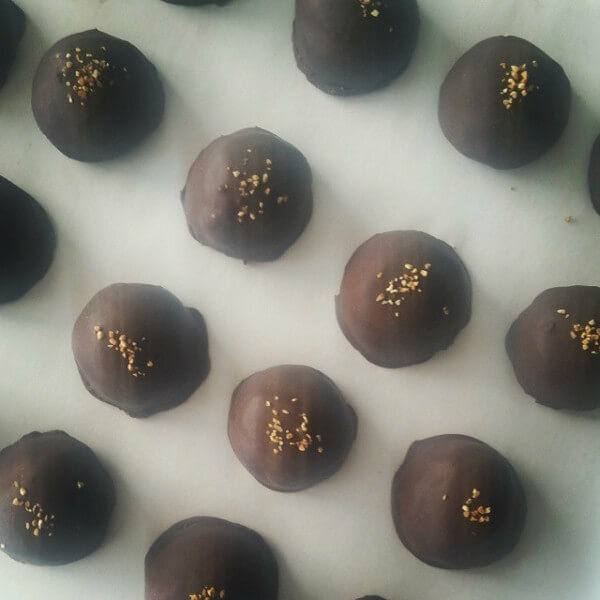 Since last’s year inaugural Colorado Springs Craft Week, her chocolates have been featured in countless pairings with local craft beers as well as with locally made wine, whiskey and even moonshine. “When you have a high quality chocolate, it really plays with the complex notes in the beverage and changes the flavor you experience from the alcohol,” she explains. Barrel-aged brews like the ones from Paradox Brewing make a particularly good match because of their depth. Tasters will have the chance to sample these effects during Colorado Collective’s Valentine’s Day party on February 14 downtown at the Piano Warehouse, where Jacquie will offer a variety of pairings at her booth. Tickets for the second anniversary event are on sale now at the Colorado Collective website. “It’s a gorgeous event center and a stunning atmosphere,” Jacquie says. Find Jacquie Mosher’s Radiantly Raw products online at RadiantlyRawKitchen.com or on Facebook or call her at 719-749-6176.